The thing about doing ‘quirky’ wedding photography is that if you set out to be ‘quirky’ it will look really contrived. Truly quirky wedding photographs have to emerge naturally through a reportage/documentary approach. It relies on both the wedding photographer seeing the opportunities and moments to capture something a little unusual, but more fundamentally it relies on the couple being a couple of kooks. 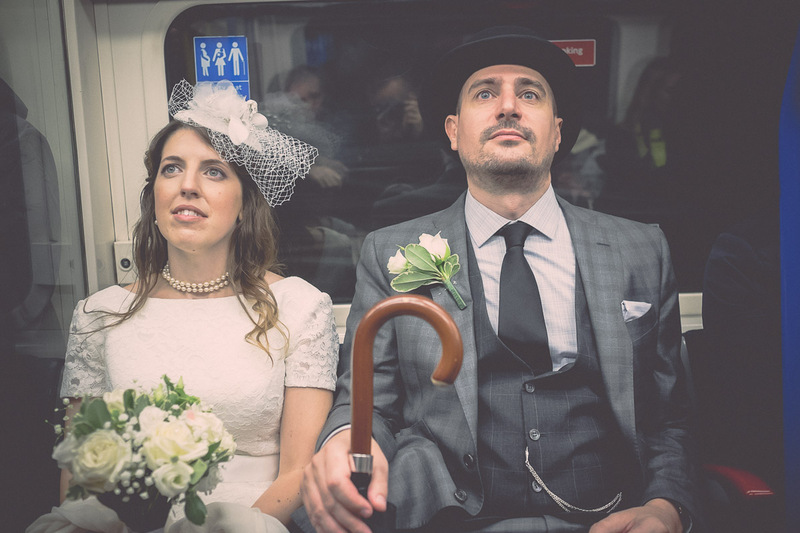 Katie and Alex went to their reception on the tube, which is quite a quirky thing to do, so it was a great opportunity to do capture some wedding photographs that conveyed something a little different.